"The fields of the poor may produce abundant food, but injustice sweeps it away." Cottesmore is a Fair Trade School. If you buy a Fairtrade product, you know that the producer of your purchase has been paid a fair price including money to invest in the local community. Buying Fairtrade helps vulnerable communities to help themselves whilst protecting farmers from unfair prices. Fairtrade also makes sure that producers have decent working and living conditions. By promoting and buying Fairtrade, we are showing witness to our faith as well as caring for the welfare of others. We have a Fairtrade Steering Committee that meets at least once a term. Each class has a representative on the committee who help make whole school decisions and ensure that learning about Fairtrade is given a high profile within their class. We also have many members of the wider school community represented in our committee – parents, parish, PTA, Governors, Brighton Peace and Environment Centre and even Starbucks! 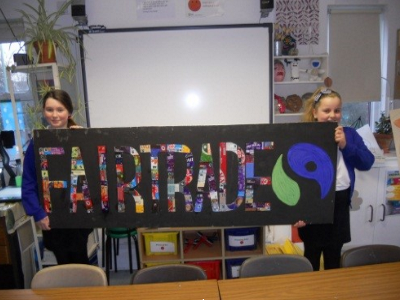 Events that promote Fairtrade products are planned every term from our summer fair to our breakfast club. 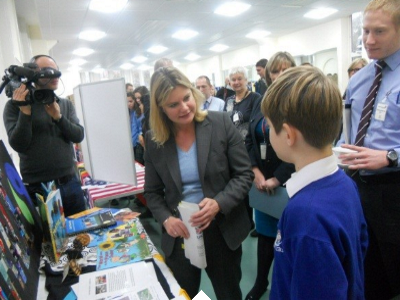 We recognise Fairtrade fortnight with cake sales and bringing in product labels to make our sign and our representatives even met a member of Parliament at a global schools event. 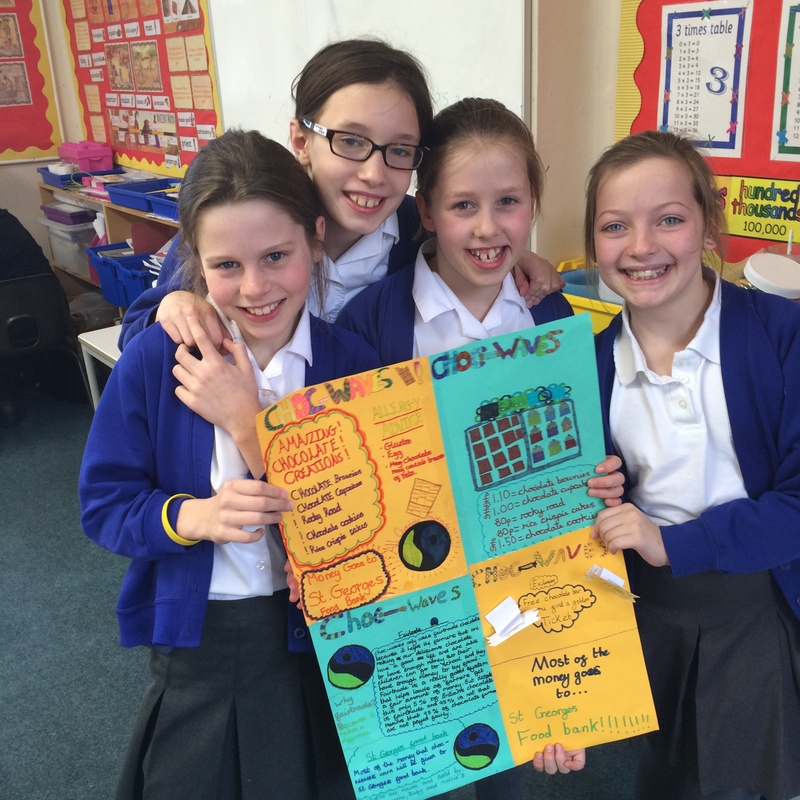 Year Five undertook the task of researching, designing, making and selling Fairtrade products. 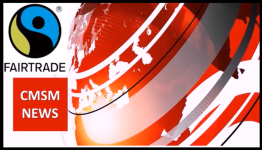 They produced chocolate based items that were made using Fairtrade chocolate. This was their D.T. project for the term and linked with their learning about the Mayan civilisation. 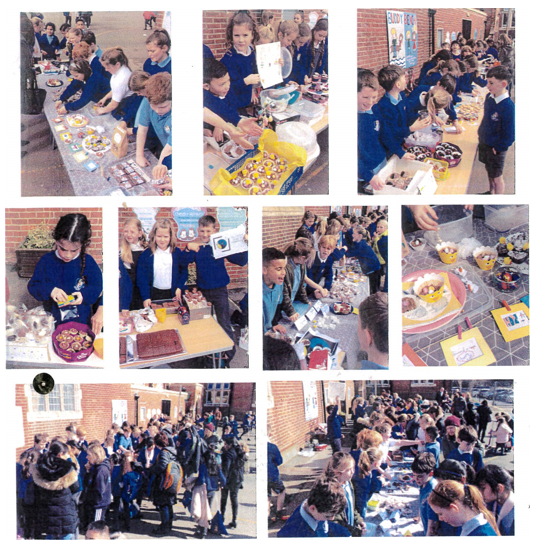 The did a fantastic job, with all the funds raised going to Fairtrade charities. Well Done Year Five! 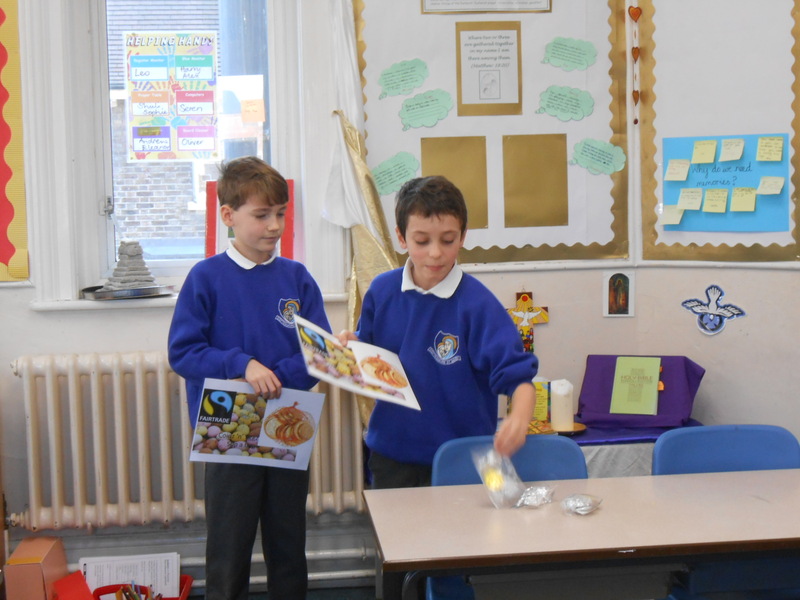 Year 5 had a enterprise project based around chocolate. They made fair trade chocolate products to sell and learned about the benefits to the farmers of buying Fair Trade products where possible. 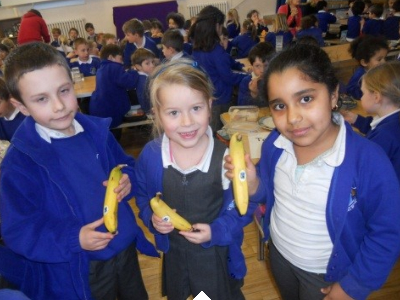 Breakfast club is now serving Fair Trade bananas on a permanent basis.